Although I don’t need to taper too much due to my race at Wildflower this weekend being only Olympic distance (Jesse’s racing the long course), I’m trying to take it easy, sleep plenty (last night’s 5 hours and change does not meet this requirement), eat less fiber, and stretch and foam roll. As a last hurrah before our good behavior this week, Jesse and I thoroughly enjoyed Calistoga. 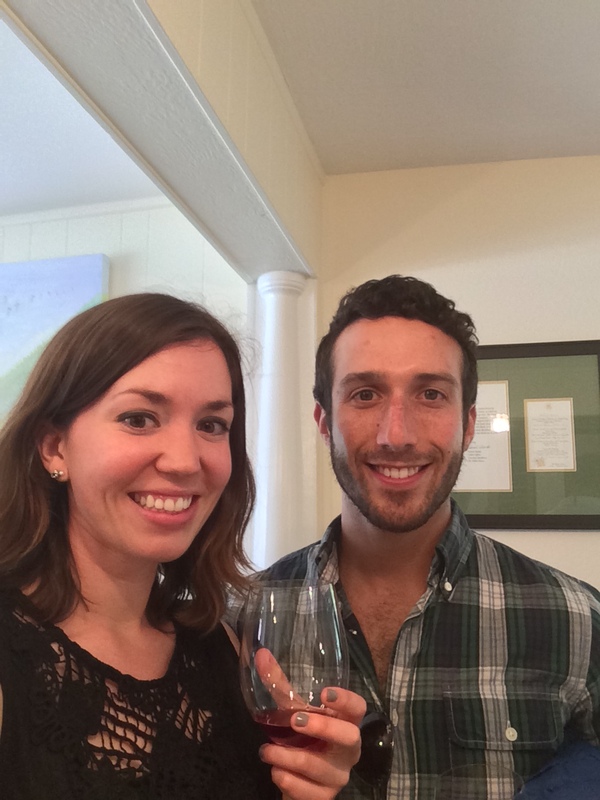 We spent the day wine tasting and checking out the cute town of Calistoga. One wine bar employee told us about a few trails we’ll have to check out next time we’re in town. We ended our Saturday with a fancy dinner with a childhood friend of Jesse’s who’s now a celebrity (seriously). With San Francisco in the 70s and 80s this week, it’s tempting to spend much of that time outside hitting the trails or biking, but we’ll have to save our energy for Wildflower’s crazy climbs. Happy taper time! You will both be great. Have a wonderful time! Good luck on your races! The weather looks like it will be a warm weekend. That picture of you two is so cute. The taper is always a great time to do things you never have time for. Good luck to both of you!